Are these elections the nail in the coffin for the Conservatives' support among black voters? The scandal over how the UK government has treated the Windrush generation presents serious electoral problems for the Conservatives. Hanging on in power by a thread through a delicate agreement with the DUP, the party must broaden its electoral appeal in order to achieve the healthy parliamentary majority it so dearly craves. A crisis like this, against a backdrop of growing diversity in Britain, makes this objective all the more difficult for the Tories. A report from think tank British Future has suggested that the “ethnic minority vote” cost the Conservatives a parliamentary majority in the last general election. By focusing on shoring up its traditional core vote, which was overwhelmingly supportive of Brexit, the party failed to produce a policy agenda which appealed to more urban, diverse parts of the country. The report also found that the Conservatives’ electoral appeal among black Caribbeans is far weaker when compared with other ethno-religious groups (such as Indian Hindus and Sikhs). While the Conservatives traditionally perform well among the “grey vote”, it’s a different story among the older members of Britain’s ethnic minorities. Indeed, the British Future report finds that the most solid forms of Labour allegiance can be found among first generation migrants of black Caribbean origin. And despite holding fairly socially conservative views, first generation black Caribbean migrants have remained staunchly loyal to Labour. This is not only a legacy of the race relations legislation passed under Labour governments. It is also due to painful memories, such as the Smethwick controversy in the 1964 general election, in which Tory candidate Peter Griffiths exploited racial tensions in the West Midlands constituency to win the race. While the Windrush scandal revolves around a particular group of people, the incident has broader implications for any political party hoping for support from Britain’s wider black Caribbean population. Black Caribbeans are the most socially integrated group. 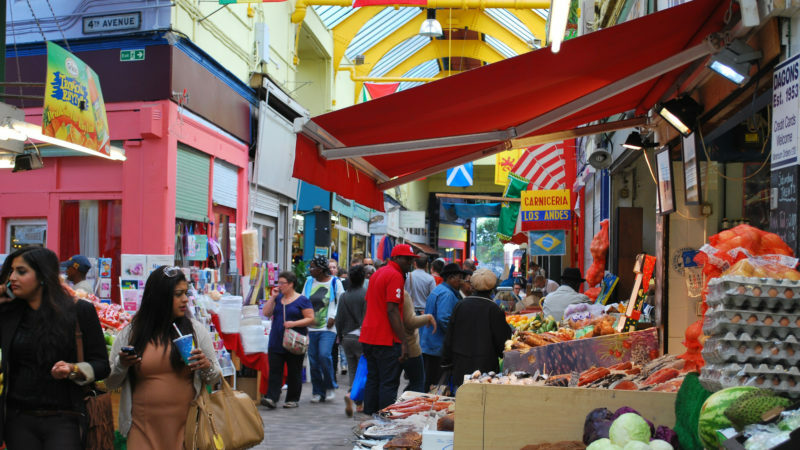 Through inter-ethnic relationships, and having friends, work colleagues and neighbours who are outside their own ethnic group, black Caribbeans demonstrate high levels of “social mixing”. But the group is known to be particularly prone to political disaffection. They trust parliament and the police less than other minority groups – such as black Africans, Indians, Pakistanis and Bangladeshis. They are also the most likely to report racial discrimination and feel that non whites in the UK are held back by prejudice. Black Caribbeans are the least likely to be satisfied with British democracy. This paradox lies in the possibility that through greater social mixing, Black Caribbeans are more exposed to and aware of racial discrimination. And this contributes to their political disaffection. The Windrush scandal is unlikely to improve levels of political trust and democratic satisfaction among Britain’s black Caribbeans. And it’s likely to have done serious damage to the governing Conservative party’s relationship with Britain’s black Caribbean communities. Aspirational, family-oriented black Caribbeans of Christian faith could be thought of as potential Tory voters in the making. But the mistreatment endured by some of their community elders is unlikely to convince them to join the Conservative fold. The scandal itself has undeniable racial connotations. On last week’s BBC Question Time, conservative commentator Iain Dale went as far as suggesting that members of the Windrush generation would be treated differently if they originated from countries such as New Zealand. However true or not this may be, Britain’s governing party is currently very vulnerable to accusations of racism. While Labour should not take such voters for granted, the Windrush scandal certainly presents an opportunity for the party. It historically enjoys ownership of issues surrounding racial equality and fairness. Jeremy Corbyn now has a chance to build up support among voters who are growing increasingly uneasy over the authoritarian-nationalist direction of government policy. The scandal makes the Conservative party’s task of broadening its electoral appeal in an increasingly diverse context all the more difficult. At the 2002 Party Conference, Theresa May stated that the Tories had to do more to not be seen as the “nasty party”. Unfortunately, recent events under her “hostile environment” policy have reconsolidated that very image. Rakib Ehsan is a Doctoral Researcher in Political Science, Royal Holloway.